ACCIONA and Ghella will bring their extensive tunnelling experience to Norway, having worked together in Australia building the award-winning Legacy Way tunnel in Brisbane. The Norwegian National Rail Administration today signed a NOK 8.7 billion (€1 billion) contract with a consortium formed by ACCIONA, a global infrastructure and renewable energy group, and Ghella, an Italian construction company with an important experience in underground works, to design and build the 20km twin-tunnel of the Follo Line Project. 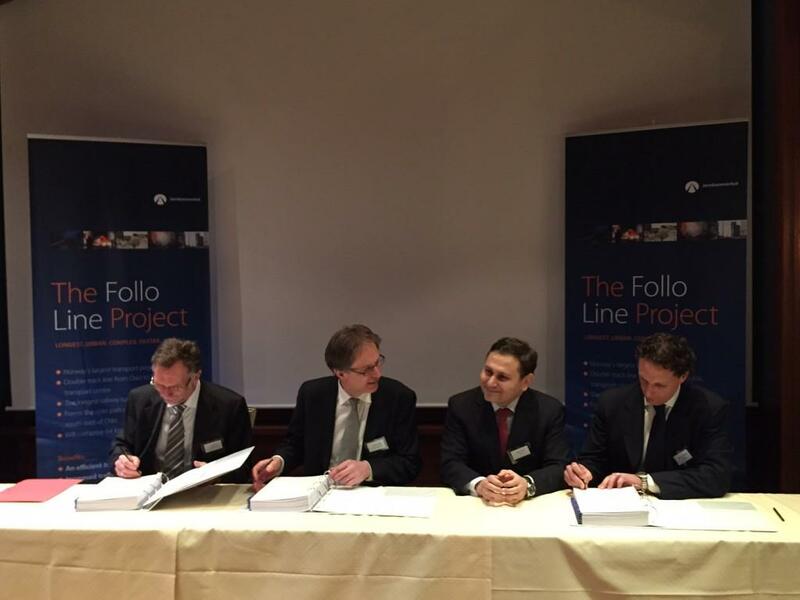 This is the second, and largest, of four EPC contracts for the Follo Line Project, currently the largest infrastructure project in Norway. The twin tunnel has been designed for high-speed trains of up to 250km/hour, and will be the longest railway tunnel in Scandinavia when completed. The tunnel will link the cities of Oslo and Ski to form the core part of the InterCity development southwards from the Norwegian capital. Construction of the twin tunnel will, for the first time in Norway, involve the simultaneous deployment of four tunnel boring machines. Two machines will drill north towards Oslo and two machines will drill southward toward Ski. The ACCIONA-led joint-venture was chosen following an international bidding process that attracted the interest of some of the world’s leading contractors. ACCIONA and Ghella will bring their extensive tunneling experience to the Follo Line Project. They are currently working together on the Legacy Way twin tunnel in Brisbane, Australia, and have won awards for the Australian project’s environmental stewardship as well as international daily, weekly and monthly speed records for tunneling machines. In Norway, the tunnel works will include the blasting of larges assembly halls for the tunnel boring machines (later to be utilized as an underground rescue area), rescue tunnels, an escape tunnel of 2.7km in length, and two transport tunnels each of 420m in length. The joint-venture will also perform all the railway installations, with the exception of the signal system. The mega project is executed by the Norwegian National Rail Administration on behalf of the Ministry of Transport and Communications.